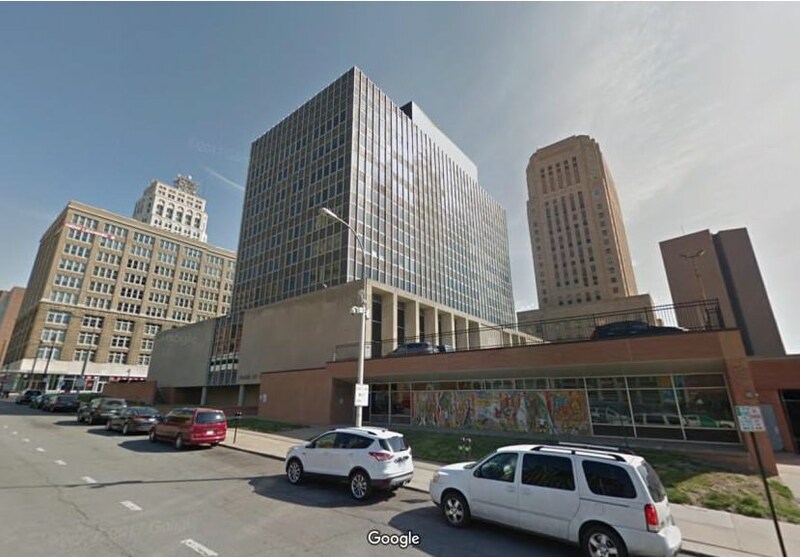 Let's start a petition to get the KCPS to put this building out for proposals to adaptively reuse for affordable housing! That would actually be a great plan for that building. Has parking, would push development east, and could be affordable as a renovation as opposed to new build. I'm all for a rfp, but I'd expect that to take significant incentives for this building. I'm fine with that over this crap proposal, but I do think we need an urban wide plan moving forward that's based off research and not the whims of a few people. The former Board of Education building at 1211 McGee, slated for demolition under a now-withdrawn Drury Hotel proposal, has been listed as one of 15 “Places in Peril” in Missouri by a prominent state historic preservation group. The Board of Ed building, completed in 1960, is the only Kansas City building included on the 2018 list compiled by the Missouri Alliance for Historic Preservation. While I would prefer a surface lot project, I honestly don’t have a problem with this “beautiful historic structure” being bulldozed for a better use. Conversely, this feels like a building where adding new wings in glass could work really well. Purposefully highlight the difference in styles. Some interesting pictures from the library website. I'm still personally conflicted on the building, but man, it was a big deal when it was new. Thanks for posting those photos! The way I remember from the last time I was in there, the upstairs office space aren’t all that special, but the bottom two floors- the board of ed and library - have some lovely, intact mid century modern interiors. If this building could be made to look anything like this, it would be awesome! Top skin on this building is hideous. Love the bottom bot looks like it could use a serious cleaning. There’s no reason for this building to be torn down. Build that onto the back and it would look great. Yea, that makes more sense. I really like this style, hope it can be incorporated in somehow, someday. I wish we could entice more foreign investment in DTKC. I try to allow for all kinds of tastes, but the call to tear this building down because of its appearance, is outrageous. No degree of difference from prior generations who destroyed 95% of our architectural treasure....because they were 'out of fashion' or 'too expensive to renovate'. The library/school board building really is a difficult challenge to renovate, because of the construction techniques of the glass skin and the difficulty to prepare for the next sixty years....but exhaust the possibilities before you give in to demo. Completely agree, The Law Building damned near killed me.Truly makes me sick when I see pictures posted of buildings lost forever(Fang) however, I hope he never quits reminding us of the mistakes of the past. Love those great memories, visions of a city which feels so long ago. I would love to see this building saved, renovated with a complimentary structure like above adjoining it. We can't just tear down every building because someone doesn't like it. There are other reasons to reuse a building. Climate change. Anyone who denies this is just burying their head in the sand. When discussing demolition, we need to remind ourselves that gases from producing the concrete, steel, glass, etc. as well as the gasoline trucking the materials there, are still up in our atmosphere heating the planet. Tearing it down to just build a replacement 10-15-story building, which will produce even more gases, is foolish. This situation is exactly why historic tax credits were intended. We should probably change the name of these credits to conservation tax credits, because we are conserving natural resources and our planet, as much as conservation of historic properties. Yeah, this building is completely inoffensive and in an already badly chewed up area. The only reason I could see demolition being acceptable would be if it were for a monstrous new office tower. Something built to last a century or two. Dramatically altering the curtainwall would probably kill any chance of the project receiving tax credits.